Nociceptin/orphanin FQ (N/OFQ) is a 17 amino acid peptide that was deorphanized in 1995 and has been widely studied since. The role of the N/OFQ system in drug abuse has attracted researchers’ attention since its initial discovery. The first two scientific papers describing the effect of intracranial injection of N/OFQ appeared 20 years ago and reported efficacy of the peptide in attenuating alcohol intake, whereas heroin self-administration was insensitive. 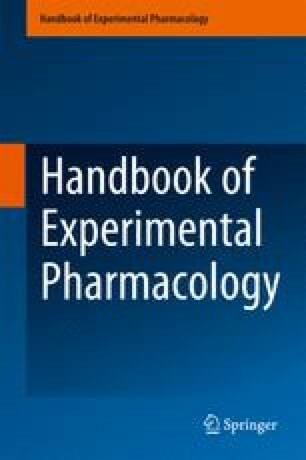 Since then more than 100 scientific articles investigating the role of the N/OFQ and N/OFQ receptor (NOP) system in drug abuse have been published. The present article provides an historical overview of the advances in the field with focus on three major elements. First, the most robust data supportive of the efficacy of NOP agonists in treating drug abuse come from studies in the field of alcohol research, followed by psychostimulant and opioid research. In contrast, activation of NOP appears to facilitate nicotine consumption. Second, emerging data challenge the assumption that activation of NOP is the most appropriate strategy to attenuate consumption of substances of abuse. This assumption is based first on the observation that animals carrying an overexpression of NOP system components are more prone to consume substances of abuse, whereas NOP knockout rats are less motivated to self-administer heroin, alcohol, and cocaine. Third, administration of NOP antagonists also reduces alcohol consumption. In addition, NOP blockade reduces nicotine self-administration. Hypothetical mechanisms explaining this apparent paradox are discussed. Finally, we focus on the possibility that co-activation of NOP and mu opioid (MOP) receptors is an alternative strategy, readily testable in the clinic, to reduce the consumption of psychostimulants, opiates, and, possibly, alcohol. Anna Maria Borruto and Ana Domi contributed equally to this work. This work was supported by the National Institutes of Health, grant RO1 AA014351, from the National Institute on Alcohol Abuse and Alcoholism.